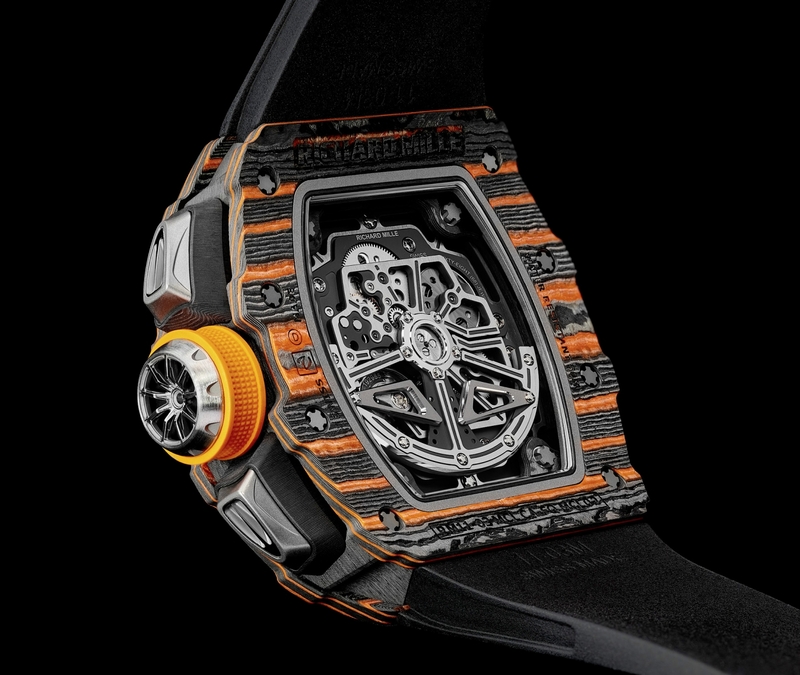 In edition to the first official public debut of the new Senna hypercar, McLaren announced a limited edition wristwatch in collaboration with Richard Mille at the Geneva Motor Show Wednesday. The RM 11-03 McLaren Automatic Flyback Chronograph timepiece is the first collaboration between British supercar manufacturer and the Swiss luxury watch maker. It will cost roughly $189,000, almost the same price as the 570S Coupe, the most affordable supercar in McLaren's lineup. That price is chump change for the demographic McLaren is aiming for because the brand is making the RM 11-03 primarily available to purchasers of one of the brand's Ultimate Series models, like the $1 million Senna hypercar and the $1.4 million Senna GTR Concept, which sported a Richard Mille livery when it debuted Tuesday. The watch's production mirrors that of the Senna, as only 500 of each will be produced. 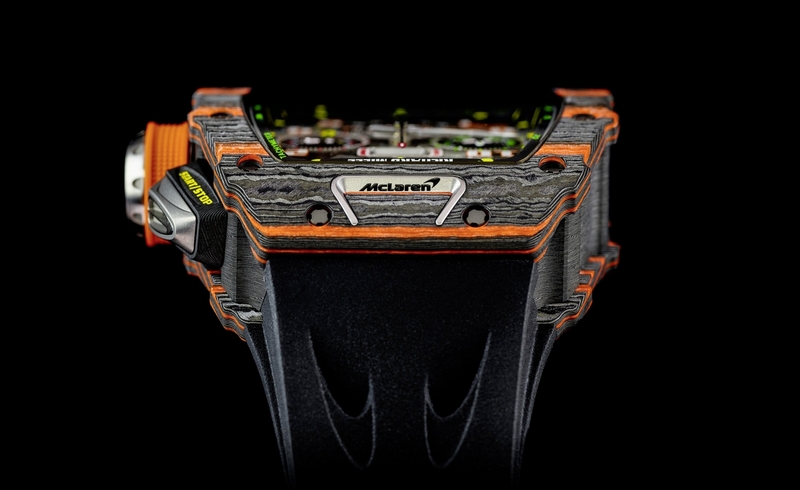 The RM 11-03 has a handful of features inspired by McLaren's line of supercars, from the sturdy Carbon and Orange Quartz TPT case (the supercar brand's signature color) to the McLaren logo on the watch's bezel and wristband. The titanium crown is styled like a McLaren wheel, and the two buttons flanking it echo the shape of the 720S's headlights. For nearly $200,000, you'll have the ability to not only tell the time, but view an annual calendar and the date. The RM 11-03 also features a 12-hour chronograph for when you want to record your lap times in style, although that feature can already be added to some of McLaren's cars. 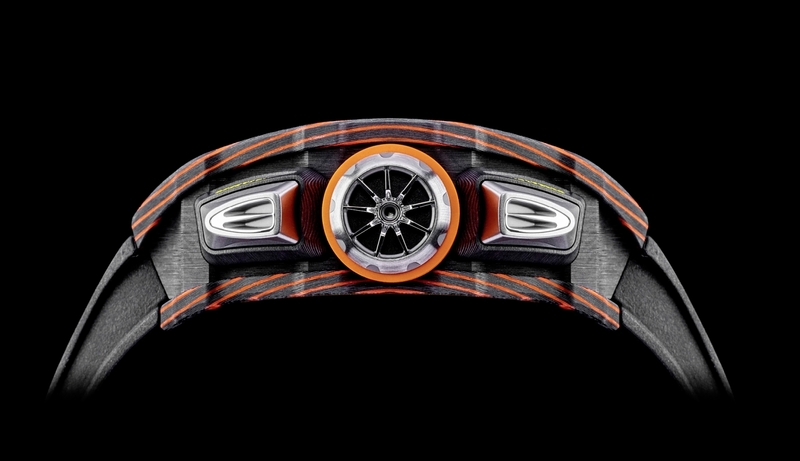 This ultra-luxurious watch will be on display at McLaren's booth at the 2018 Geneva Motor Show until March 18. And on our wrists? Probably never. Naturally, the Porsche version costs more.